Official Memorabilia, in conjunction with Sport Entertainment Products and the FFA, is proud to release the Hyundai A-League 2017 Champions Framed Sportsprint, the perfect memento to cherish the most dominant A-League season in history. 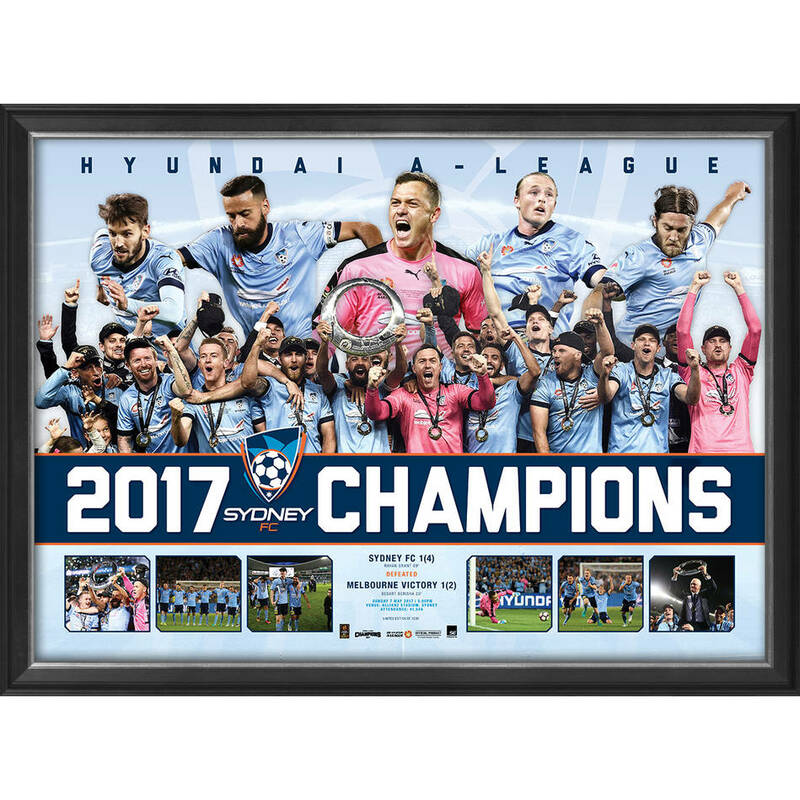 Featuring action and celebration imagery from the Hyundai A-League 2017 Grand Final along with key stats from the match, the Champions Framed Sportsprint is strictly limited to just 1000 editions. Secure your piece now to avoid disappointment!